Celebrating the Diamond and Gold Creator award winners on YouTube Thailand and top ten brand ads on YouTube from 2018! 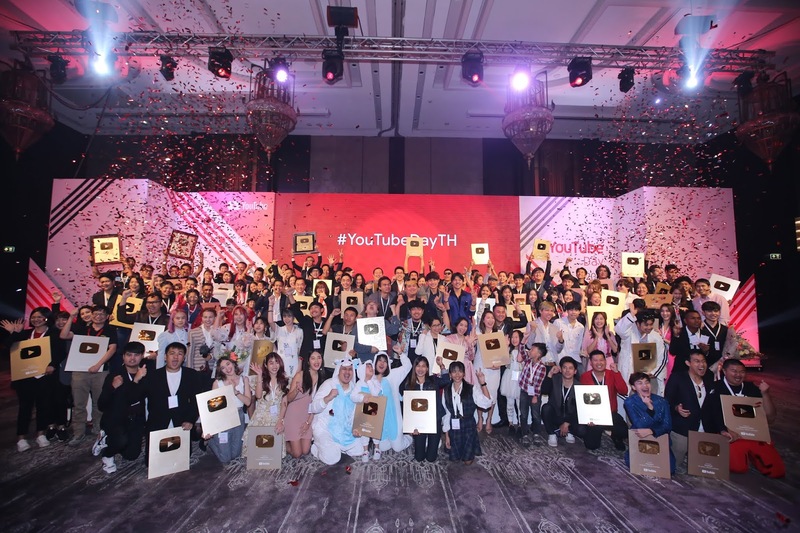 At the annual YouTube Day Thailand, YouTube awarded Diamond Creator Award (channels with over 10M subscribers) to four Thai channels, including Ch3Thailand, Genierock, one31 and RsiamMusic : อาร์สยาม, bringing the total number of Diamond Creator channels to six in Thailand over the last two years. In addition, Gold Creator Awards were given to 200 Thai creators recognizing their achievement of surpassing one million subscribers. This reflects the constant growth of YouTube creators, partners and the YouTube ecosystem in Thailand. YouTube has maintained a strong commitment to supporting the incredible community of local creators and content partners in Thailand under the concept of “Every You” covering three areas of focus: “every content”, promoting diverse content, “every audience”, bringing great content to audiences in all parts of Thailand, and “every advertiser”, collaborating with advertisers and agencies of various brands. On the same day, Google launched “Create with Google”, a platform designed specifically to support the creative maker community with education and tools that serve to foster creativity across all aspects of the Google ecosystem. Also check out the top ten brand ads on YouTube Ads Leaderboard for 2018. The list represents the top 10 ads on YouTube in Thailand that resonated most with audiences across the country in the last year and celebrates the brands that performed best among Thai audiences based on a combination of popularity and promotion. Sunsilk secured first place on the Leaderboard, followed by True Corporation and S-26 Gold Progress, respectively.